The Fleischmann Choir of the Cork School of Music is so named in order to help perpetuate the memory of one of the most remarkable men to have given service to music in Ireland during the 20th century. The following short biographical sketch cannot claim to do more than give the briefest of outlines of some of his life’s achievements. Aloys Fleischmann was born in Munich to Irish-based German parents. His father, "Herr" Aloys G. Fleischmann became organist and choirmaster in the Cathedral of St. Mary and St. Anne (North Cathedral) in 1906. His mother, Frau Tilly Fleischmann, whose father, Hans Conrad Swertz, had held the same post since 1890, was also a musician: a highly-esteemed pianist and teacher. "Prof", as he was fondly known to students and music-lovers alike, was Professor of Music in University College Cork from 1934 to 1980. During that time he pursued his conviction that if music was to have a chance of flourishing in Ireland, it could only do so through the work of a body of well-trained teachers. His courses were always designed to produce musically well-rounded graduates, capable of turning their hand to a diverse range of skills, from conducting and accompanying to scoring and composition, with a sound overview of music history and a good knowledge of those two cornerstones of practice that are a sine qua non for anyone who aspires to the accolade of "musician", namely harmony and counterpoint. His achievements were by no means confined to the academic field: "It is purposeless to talk or write about a musical revival," he wrote, "unless determined action be the burden of one’s theme". In 1931, the year he was awarded his BMus, he founded the University Art Society, which continued until 1976. Having completed his MA in 1932, he departed for a period of study in Munich. Upon his return, in 1934, he was appointed to the Chair of Music at the prodigiously early age of 24. In that same year he founded the University Orchestra, which was reorganised in 1939 as the Cork Symphony Orchestra. 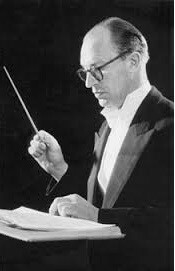 Aloys Fleischmann conducted the CSO for 58 seasons without a break – a tenure that remains without parallel. In addition to symphony concerts, the CSO played regularly for the many ambitious productions mounted by the Cork Ballet Company, which had begun life as the Cork Ballet Group in 1947, founded jointly by the Professor and the renowned choreographer and ballet dancer Joan Denise Moriarty, and which later became the Irish National Ballet. In 1943 he revived the then defunct University Choral Society, which became active under his direction. All of these performances and many other chamber and instrumental recitals each year were given under the auspices of the Cork Orchestral Society, which Professor Fleischmann founded in 1938 in order to help promote music in the Cork area; indeed, the COS continues in this role to the present day. In keeping with his beliefs on the importance of competent and enthusiastic teachers as the catalyst for growth, the Professor had also founded the Music Teachers’ Association in 1935, and pressed vigorously for improvements to the music curriculum at all levels. Perhaps the most enduring memory of the Professor in the mind of the concert-goer is of his long association with the Cork International Choral and Folk-Dance Festival, founded by him in 1954, and in particular his establishing, in 1962, of the Seminars on Contemporary Choral Music. This far-seeing innovation involved the commissioning each year of new choral works from a number of composers; these works would each be presented and analysed in a seminar before receiving their first public performance as part of the festival. Composers of the stature of William Walton, John Tavener, Darius Milhaud, Antonín Tučapský and William Mathias have contributed pieces, and the seminars continue to be a centrepiece of the festival each year, as well as an important platform for young composers, whether from Ireland or overseas. Nor was Aloys Fleischmann found wanting in the field of composition. Over the course of five decades he produced chamber and instrumental music, ballet scores and other works for full orchestra, song cycles and, notably, several works for chorus and orchestra. Among these was the famous setting of Davis’s poem Clare’s Dragoons (1944) for baritone solo, war-pipes, chorus and orchestra. Never afraid to experiment, his Song of the Provinces (1965), also scored for chorus and orchestra, includes a part for audience participation. The première of his penultimate work, Clonmacnoise, for choir and orchestra, was given in 1990 under the baton of the founder and conductor of the Fleischmann Choir, Dr. Geoffrey Spratt. His last work, Games, for choir, harp and percussion, was commissioned by the 37th Cork International Choral Festival and first performed in 1990. Both Clare’s Dragoons and Song of the Provinces made up the choral part of the programme in a memorial concert for Professor Fleischmann given in 1992 by the ensemble that subsequently became The Fleischmann Choir of the Cork School of Music. During the course of his academic career, Aloys Fleischmann produced many papers and articles on a wide variety of music-related subjects. He also edited Music in Ireland: A Symposium, published in 1952 in Cork and Oxford, which is regarded as a seminal survey of the state of music in the country at the time. Upon retirement from academic life, Professor Fleischmann became, if anything, even more active. He continued to conduct and to compose and was finally able to devote time to a labour of love that had already occupied him, off and on, since 1957: his scholarly magnum opus, Sources of Irish Traditional Music 1600-1855, a complete thematic index of c. 7,000 Irish traditional melodies with all their known variants. Work on this vast endeavour continued virtually to the day of his death, with the Professor courageously battling against grave illness in order to put it into its final form. Popularly known as "The Index", it was eventually published in New York in 1998: an enduring testament to an extraordinary man. Aloys Fleischmann was gifted with a breadth of knowledge and vision that serves as a beacon to those who would follow in his footsteps, and with a generosity of spirit that continually sought ways of promoting to a wider audience both participation in, and love of, music. In our age, which can all too often seem to be characterised by cynicism and self-aggrandisement in every walk of life including the academic, he epitomised the sterling virtues of intellectual discipline, artistic integrity and untiring service to others. His passing must be regarded as the end of an era. The Fleischmann papers were deposited by the family in the Archives of University College Cork, where they are presently being catalogued under the direction of Ms Virginia Teehan.